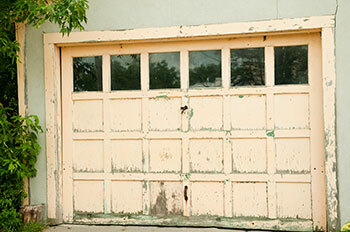 Our professional garage door technicians can help you with all sorts of issues. We have a lot of experience doing anything from repairing a malfunctioning opener to replacing a broken spring. Take a look at the latest projects we completed to learn more about how we can help you. 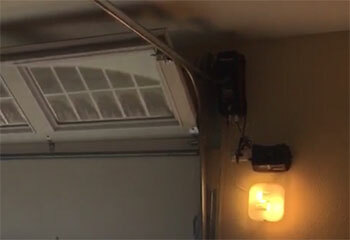 Customer Issue: The garage door kept mysteriously opening on its own during the daytime. Our Solution: Our team knew to test the sensors when they heard about the nature of the problem, and found that they were out of alignment. After some adjustment and testing, the door stopped being opened by obstacles that weren’t actually in the way. 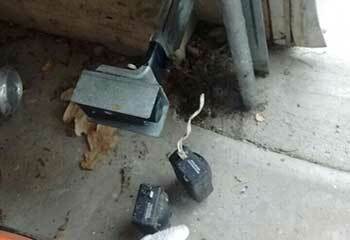 Customer Issue: Broken track preventing the garage door from closing. Our Solution: We disconnected the opener and opened the door fully, so that the broken vertical track was free for removal. Our next step involved dismantling the old track and installing the new one with the same specs. Our test confirmed the rollers were moving freely up and down. Customer Issue: Decaying wood panel. 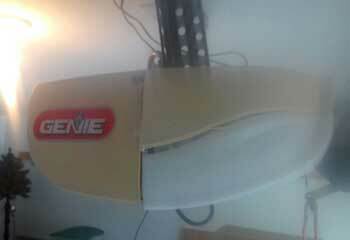 Our Solution: We found an exact match and replaced the heavily damaged bottom panel of the customer's wood garage door. When installing the new panel, we were extra careful to secure it to the hinges and rollers and to protect it with a reliable and durable bottom seal. Customer Issue: Time for opener upgrade. Our Solution: After helping our customer compare several garage door openers, we installed her new Genie 2028 belt drive opener. Our work began with mounting the motor unit. Next, we put the hardware together and connected the motor to the door. Our final step was the programming of the controls.